THURSDAY, Oct. 27, 2016 (HealthDay News) -- Many American women swear by cranberry juice as a home remedy to help prevent urinary tract infections (UTIs). But a new study finds that cranberry capsules didn't prevent recurring UTIs in older women who lived in nursing homes. No significant difference was seen in the number of UTIs among those receiving the capsules versus a placebo pill, the researchers said. However, at least one urogynecologist believes the study couldn't prove that cranberry products, including juice, might not help some younger, uninfected women. In the study, Yale University researchers only looked at women living in nursing homes, whose average age was 86. "Cranberry products have long been thought to prevent urinary tract infections, and many different cranberry products, including capsules, tablets and powders, are promoted for this purpose, but this study did not show that this product worked," said lead researcher Dr. Manisha Juthani-Mehta. She is an associate professor of medicine at the Yale School of Medicine in New Haven, Conn.
Hydration is likely the most important measure to take to prevent urinary tract infections, she said. "Older women can also try to remain clean and dry." For these women who may be on fixed incomes, spending money on cranberry capsules may not be worthwhile, Juthani-Mehta said. "This study is another in a long line of studies that don't suggest that cranberry products work to reduce urinary tract infections. "Many people firmly believe in their cranberry product, and to those people, I tell them to continue what they feel works for them," Juthani-Mehta said. "There certainly seems to be little downside to drinking cranberry juice if you like it." Urinary tract infections are the most commonly diagnosed infection among nursing home patients, the researchers said. About 25 percent to 50 percent of women living in nursing homes have bacteria in their urine (bacteriuria), and 90 percent of those with bacteriuria have white blood cells in their urine (pyuria). Dr. Elizabeth Kavaler is a urology specialist at Lenox Hill Hospital in New York City. "Cranberry, tablets, capsules, juice really don't have much impact on the prevention or treatment of urinary tract infections," she said. "When you have urinary tract infection, it has to be treated with antibiotics." The idea that cranberry would prevent or treat urinary tract infections began before antibiotics were invented and no treatment or preventative was available, Kavaler explained. "If you want to do it, you can take cranberry whatever -- it doesn't really matter, it's not going to make a difference," Kavaler said. For the study, Juthani-Mehta and her colleagues randomly assigned 185 female nursing home residents to two oral cranberry capsules a day or placebo. Each capsule contained the equivalent of 20 ounces of cranberry juice. Among all the women, 31 percent had bacteriuria plus pyuria at the start of the study. Eighty percent of the patients took the capsules as directed and 147 completed the one-year study. The researchers found no difference in the percent of women who had bacteriuria plus pyuria among those taking cranberry capsules or placebo (29.1 percent versus 29 percent respectively). There was also no significant difference in the number of UTIs over the course of a year -- 10 episodes in the treatment group vs. 12 in the control group. The report was published online Oct. 27 in the Journal of the American Medical Association, to coincide with a presentation at the annual meeting of the Infectious Diseases Society of America, the Society for Healthcare Epidemiology of America, and the HIV Medicine Association, in New Orleans. One urogynecologist thinks that cranberry might help prevent urinary tract infection in women of any age, but only if they are free of infection when they start using cranberry. 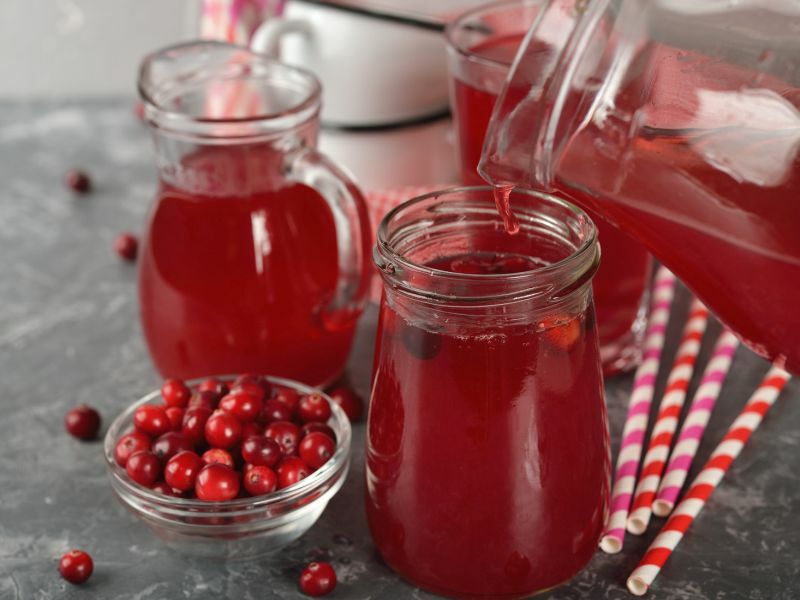 "Cranberry makes the urine more acidic, so it makes it more difficult for bacteria to grow," explained Dr. Jill Rabin, co-chief of the division of ambulatory care at Women's Health Programs-PCAP Services at Northwell Health in New Hyde Park, N.Y. But for it work to prevent urinary infection, patients have to have no trace of bacteria or white blood cells in their urine. "You have to start at a place where there is no infection," Rabin said. The patients in this study, however, were not necessarily uninfected, she said. Rabin said that older patients are prone to infection, which is why cranberry may not work better in these women. The most important thing one can do is make sure these women follow good hygiene, Rabin said. "Acidifying the urine and making sure that these women aren't doing something that is giving them the infection in the first place is the best thing you can do," she said. "They can drink all the cranberry juice in the world, but if they have an infection, it's not going to treat it," Rabin said. "If their hygiene is bad, it won't matter. You have to go to the source of why they are getting the infection in the first place."